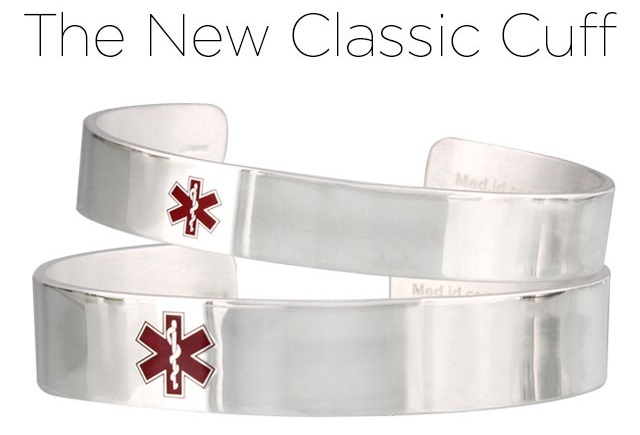 Introducing the Sterling Silver Classic Cuff Medical ID! 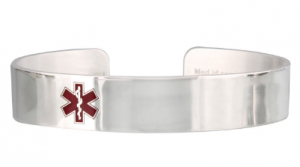 Home Medical ID Products Introducing the Sterling Silver Classic Cuff Medical ID! 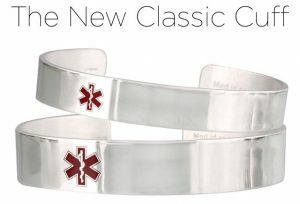 Introducing the Sterling Silver Classic Cuff Medical ID! An inviting new fresh design that is versatile enough for day and night. 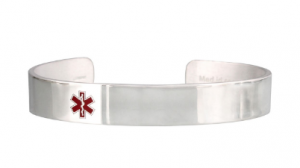 This clean and simple cuff is made from beautiful Italian sterling silver and features our classic red medical emblem. Smooth and sleek, this ID will be a beautiful addition to any outfit while also being easily recognizable to healthcare professionals. The outside of this ID can be custom engraved with up to three line to meet your specific healthcare needs. This effortlessly chic new ID is sure to be a customer favorite! These cuffs are easy to put on and ideal for those who struggle with difficult clasps. Gently pull on both ends of the cuff to expand, slide on wrist, and lightly squeeze bracelet to desired fit. Available in two sizes, Small/Medium and Large/Extra Large. Classical Cuffs for medical purpose are great for people having medical problems. I have also seen bracelets which have an amazing impact for the patients of various diseases. These kinds of devices should be researched more and this technology should be made affordable so that more and more patients should benefit from this.